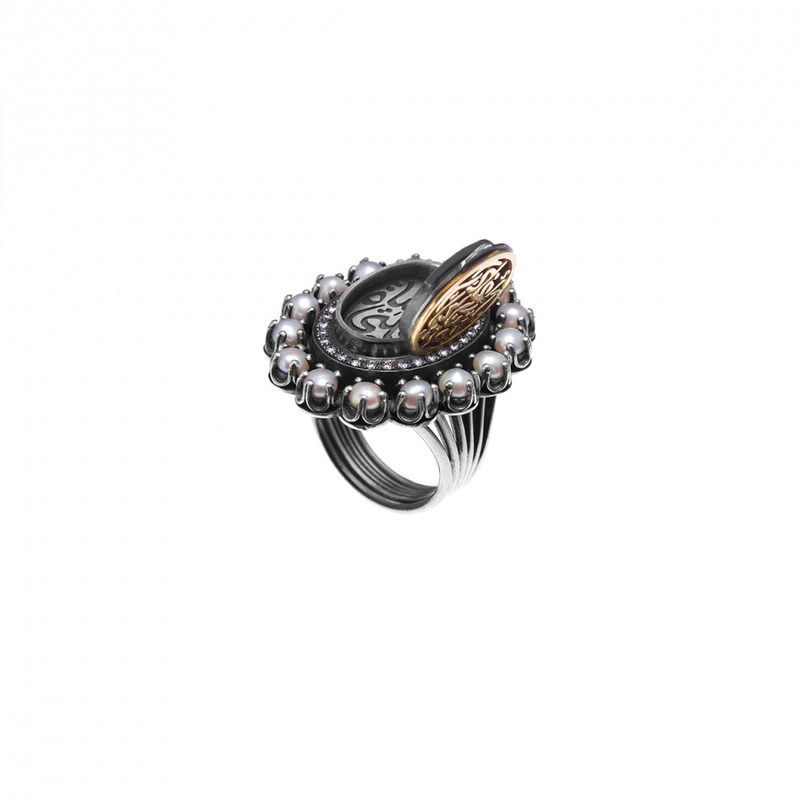 A flawless stone set ring adorned with diamonds and calligraphy. 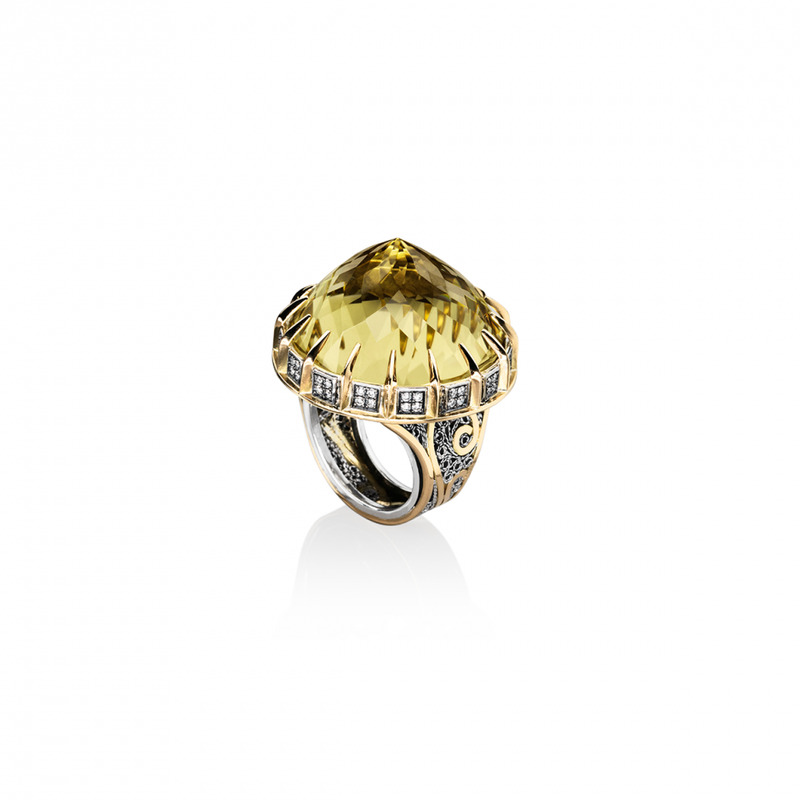 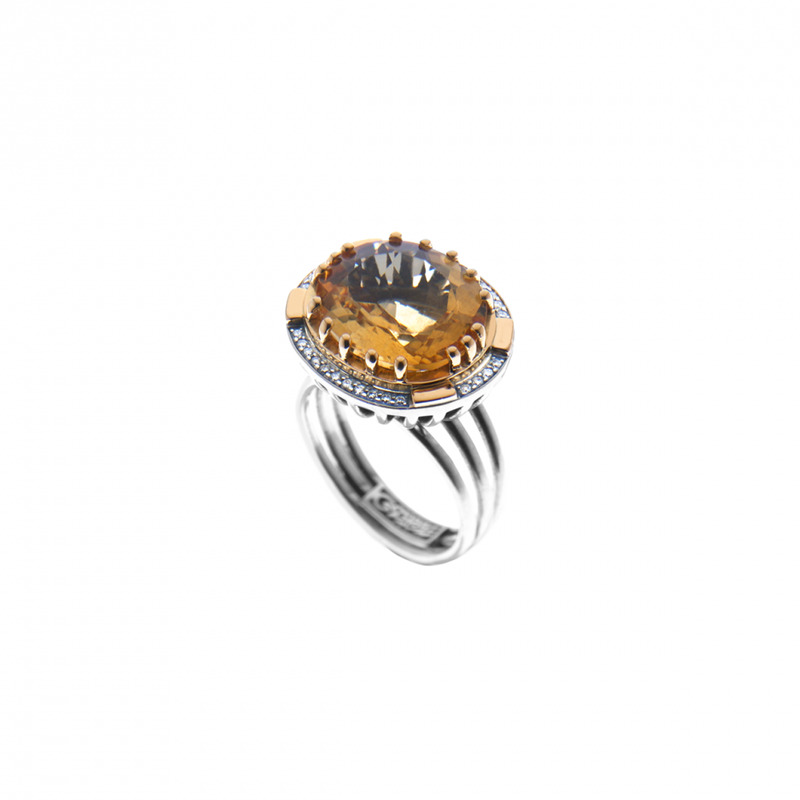 Flawless in its cut comes this faceted Topaz ring in vivid Lemon and Smokey shades bejeweled with diamonds and rare filigree, in 18kt gold and sterling silver. 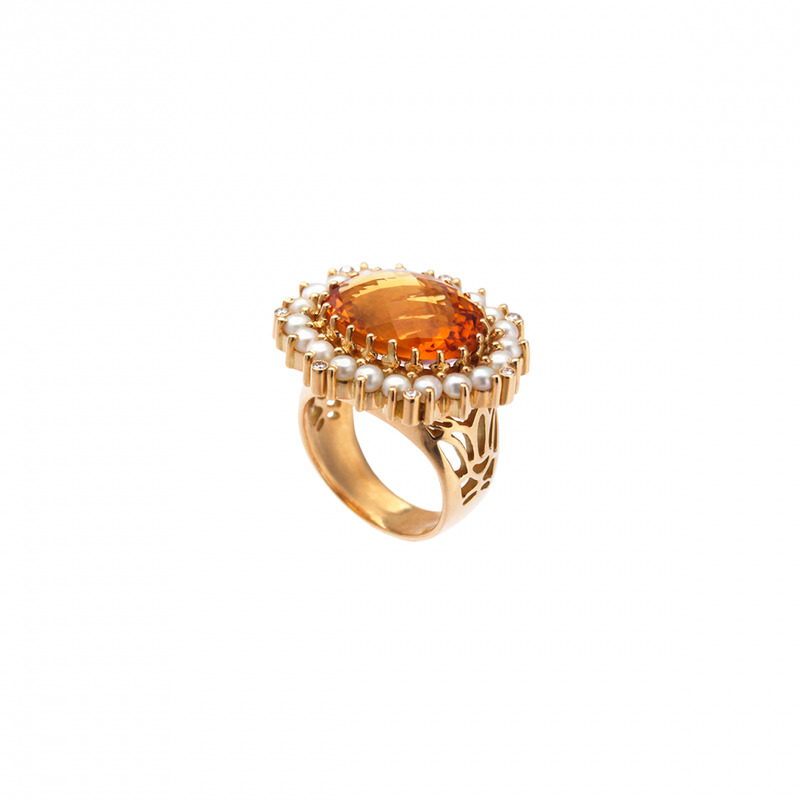 A double-sided ring with Diamond stones and colorful semi precious stones on one side and 18kt gold calligraphy on the other. 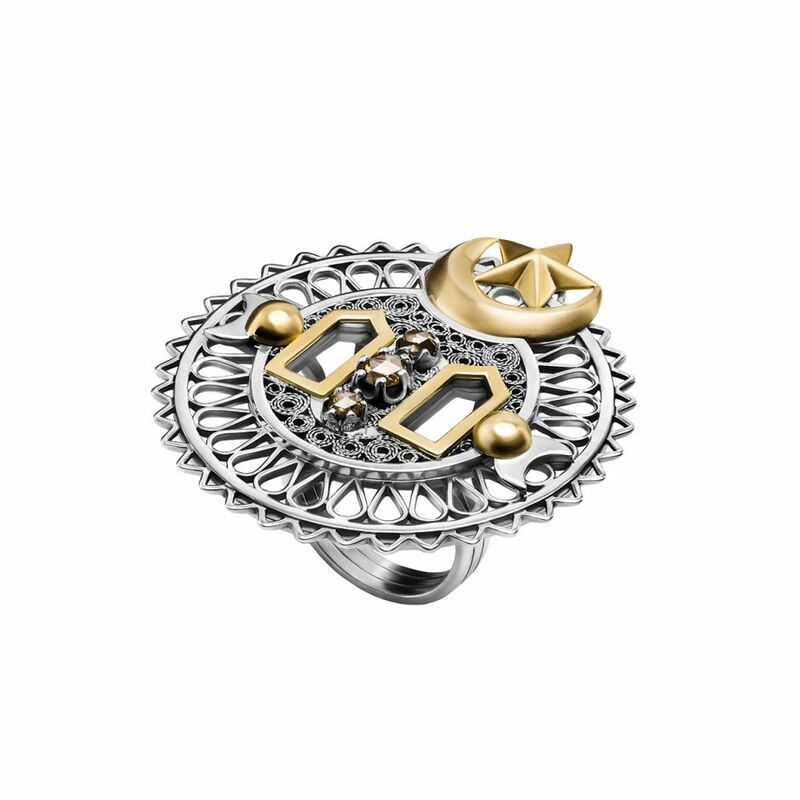 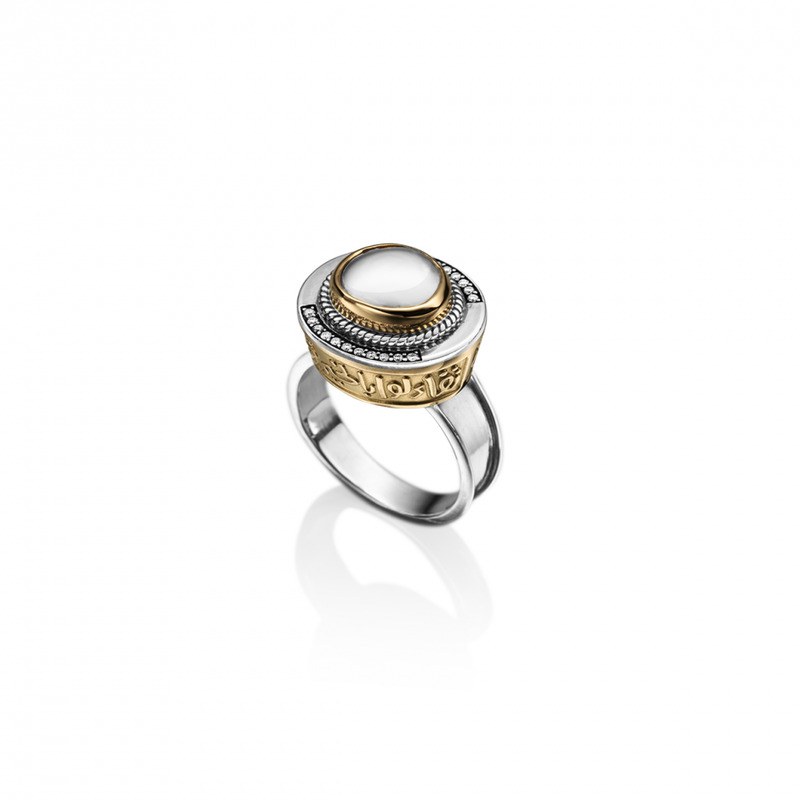 Statement Sultan Ring adorned with pearls, diamonds and 18ct Gold calligraphy.